Don't miss out of this Unique opportunity!! Zoned both commercial and residential. This Historic 1920's home is nestled on a corner lot with white picket fence. The main home offers 3 bedrooms and 1 bath with a wrap around porch. The cozy efficiency apartment is attached to the main home but has it's own separate entrance, inside laundry room, upstairs screened room overlooking the backyard. Enjoy your double sided fireplace those cool Florida nights. The loft bedroom is the currently being used a closet. Assumable VA loan. 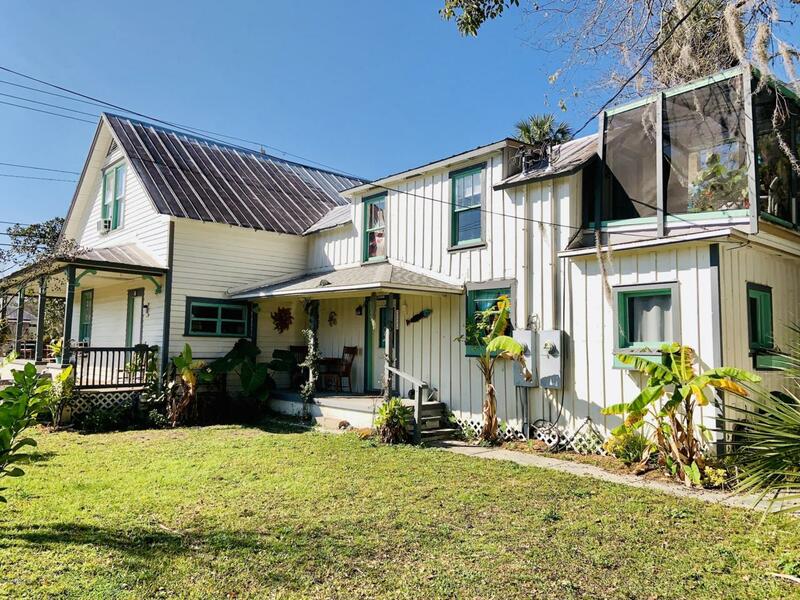 This home is conventienly located within walking distance to Great St. Johns River and many shops and establishments including Azalea City Brewery (opening in 2019), Magnolia Cafe, Angel's (Florida's Oldest Diner), Uncork and Unwind, Ravines Gardens State Park.